The first Lions Club was founded in Chicago in 1917, and Southwell and District Lions are proud to be part of the worldwide organisation. Our global network of 46,000 clubs, with 1.4 million people in more than 200 countries, continues to serve our communities in our centenary year. A lasting legacy from the early years of Lions is the white canes for the visually impaired which are still recognised today. Locally, our community activities include Carols for Everyone and Reach Off-road and the funds that we raise from our Santa float and other events have helped local schools, youth groups, organisations and individuals in need of help. We also make donations to Lions appeals overseas where the money is passed to a Lions Club on the spot, to ensure it reaches those in need directly. In Southwell, we are celebrating our centenary with a Photographic competition and along with other local clubs, have supported Hearing Dogs for the Deaf through donations and an event at Hodsock Priory. Our final centenary project is to re-instate the gardens by the archway at the top of the west path of the Minster, to help restore this iconic view of the Cathedral. 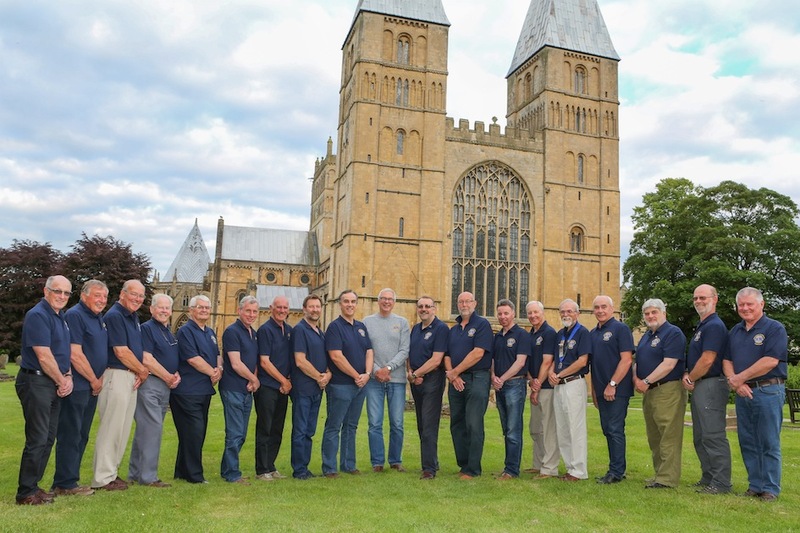 This year, Southwell Lions celebrate its 36th anniversary. We are a very friendly bunch and always looking for new members who are interested in helping those in need in our local community and further afield. We meet at 8pm on the 2nd & 4th Tuesday of each month at the Reindeer Inn in Southwell.